This is pretty much a perfect book for kids. I would have loved this when I was younger (I loved it now). Safe As Houses is based on true events caused by Hurricane Hazel in October 1954, when the Humber River near Toronto overflowed its banks and caused terrible flooding in the area. 30 people on just one street alone were killed. In Walters’ fictional account, 13-year-old Elizabeth is babysitting 11-year-old David and 7-year-old Suzie in their home during the storm. The roads are so bad that the parents can’t make it home, so Elizabeth stays the night. Before going to bed she notices that the lawn is covered in water, but assumes they are safest to stay put in the house (safe as houses). Not long after that, she gets up off the couch only to have her feet land in a foot of cold water. David is also awake at this time, and together they decide to wait it out – it can’t get any worse, can it? I pressed my eyes closed even tighter. I could close off the sights, but there were still the sounds. I could hear the rushing of the river around us in all directions. It was as though we were standing on the footbridge again. That sound was everywhere and constant, and it just kept getting louder and louder as the water rose higher and higher. Worse than the sound of the river were the unpredictable crashes and smashes as objects struck the house. Soon they are forced upstairs, and soon after that they have to wake up Suzie because the water is still rising. Elizabeth feels the heavy responsibility of making the right choices and facing the possibility of death with each decision she makes. All we could do was wait it out, wait for the water to flow away, for the level to drop, for the current to slow, wait to be rescued. And until that happened, it was my job to keep David and Suzie safe. How terrible would it be for me to somehow survive and for Suzie to drown? I’m not going to tell you what happens, but the story is gripping the whole way through. Elizabeth is the narrator; you think she must make it out alive, but you don’t really know, so you’re hooked. As in a lot of YA and children’s fiction, the main characters are the children and the parents are no where in sight. In this case, the children are cut off by the storm and the flood. The story is empowering for kids; showing that these children are just as capable as anyone of taking care of themselves in such a dire situation; capable of coping with the fear, making tough decisions, problem solving with very little to work with, and forcing themselves to jump from the frying pan into the fire when they realize that the frying pan is about the be swept down the river. … if I made the wrong decision, it would be the last thing I’d ever do, the last thing that any of us would ever do. Suzie’s part in the book is based on the experience of Penny (Doucette) Phillips who was at home with her parents and 2-year-old brother at the time, all of them surviving by the skin of their teeth; their house being swept away moments after being rescued. If you want to read other personal stories about Hurricane Hazel, there are many to be found here. All through the night, two men were going around in a boat, picking up as many survivors as they could. Their names were James Crawford and Herb Jones, and thanks to their courageous efforts, 56 people were rescued from the raging floodwaters that night. 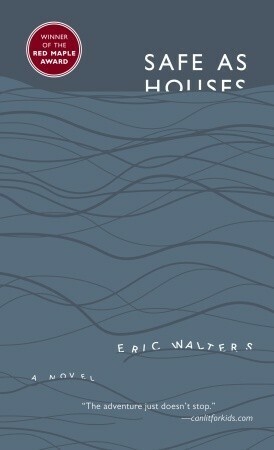 We have several other Eric Walters books on our shelves that I have picked up over the years. You can be sure that I will be reading more of him. Does anyone have any to recommend? I am going to recommend this to my sister who is looking for good reads for her grandson. Thank you. You better read it and find out! I have lived through two hurricanes during my childhood and teen years in Texas. Thankfully, my family recovered fairly easily and no one we knew in our neighborhood died. 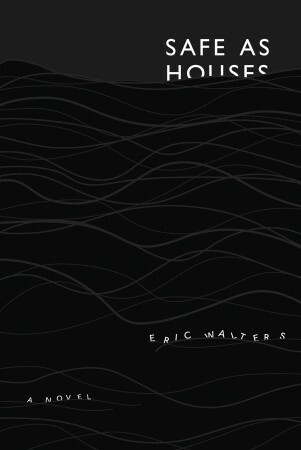 I’ve never read a novel influenced by a hurricane and its aftermath. Sounds really interesting. I bet there must few a few about Hurricane Katrina by now. It makes for a gripping read, but in real life I think it would be terrifying. I think I’ll stay up here – the storms are usually good and weak by the time they hit Nova Scotia. The only other book I can think of right now about a real hurricane or storm is Isaac’s Storm by Erik Larsen. I’d like to read that one, too! Holy mackerel, what a story. I had no idea! I’ll try to remember this one when H is old enough for it. I wish I’d had this when I was a kid! We had a big hurricane come through when I was a kid — Andrew — and we absolutely LOVED playing Hurricane after that. We’d have loved reading about kids surviving a hurricane bravely. So, of course I had to look up Hurricane Andrew – all these hurricanes I’m learning about as a result of this book! You should read it now – you’ll still love it! I have to admit that Hurricane is a not a game we ever played. We did pretend there was lava on the floor and had to get around without touching it, but everyone plays that, don’t they? My spouse and I brainstormed a list of YA books we loved reading to our boys to give to my sister. Thought you might be interested. Kenneth Oppel’s series 1. Airborn 2. Skybreaker 3. Starclimber is a series that keeps getting better with each new book. How to Disappear Completely and Never Be Found is a book by Doug Richmond, Is a page turner mystery especially at the end. We had to stay up late to finish it. Schooled Gordon Korman is fun. Son of the Mob I and II (Gordon Korman) be sure to read aloud because it is so funny. This is a great list, Brian! Thanks for thinking to post it for me! We’ve read lots of Korman – he’s one of my son’s favourites. We haven’t read Son of the Mob yet, though. We’ve also read The Giver and Lightning Thief. But, for the life of me, I can’t interest any of them in Kenneth Oppel. I’ll keep working on it, though – he’s written so many good ones! I made a terrible babysitter. Were there ever a horrible situation, I’m sure I would have bolted. Then again, I started babysitting when I was 11, the age of the boy being babysat. Bolting might have been a better decision then staying in the house in this case! As long as you did it right away, and take the kids with you! What a great idea for a novel. Oh, well, no, I’m wrong, because I remember now that I did see an email for this post. So, I didn’t see the one before it or the one after it! Odd! If I think to look at your older posts when I get one, like I did today, then maybe I’ll see all your posts, but sometimes, like I did the other day, I just look at the one I got because I don’t know I missed any. I really like how Jenny said as kids they played “hurricane” after Andrew. I also like how this book is based on true life events. Would you say this book is middle grade or definitely YA? My oldest son is very interested in natural disasters, but could probably only handle a certain type of story without getting anxious. He still thinks when there’s a storm we’re going to get hit by lightning even though we’re inside. There is a little bit of lightning at the beginning of the book, but that’s it for the lightning. I would say the age depends on how anxious you think your child will get while reading a suspenseful story (or if they have a fear of water). Otherwise, there’s no reason not to read it to younger kids. Just the suspense and imminent danger. Sort of like telling them about the Titanic. My older daughter (at the age of 5 or 6) didn’t think much of it, but my son was haunted by it for a while. Oops. Ha ha, our poor kids. My son is also interested in what happened to the Titanic and wants to watch the movie, but was turned off that it’s 3 hours long and there’s kissing and stuff. I may try to read this book by myself first and go from there. It’s short and quick, and I think you’ll like it! I love learning new things from YA – it usually means that my kids are also going to learn it! I had heard of Hurricane Hazel, but had no idea the damage was so extensive. Storms and other natural disasters are ‘fun’ to read about! And this is a good one for a wide age range! YA is not a priority for me. I seem to prefer Middle Grade. It’s written better.